पुस्तक का विवरण : प्रतिमा-शास्त्र की समीक्षात्मक व्याख्या का हिंदी में यह प्रथम प्रयत्न है| अंग्रेजी में इस विषय के कतिपय प्रसिद्ध एवं प्रमाणिक ग्रन्थ हैं जिनमें गोपीनाथ राव के चार ब्रहदाकर ग्रन्थ (Elements of Hindu Iconography), श्री ब्रन्दावन भट्टाचार्य का Indian Images, डॉ जितेन्द्रनाथ वैनर्जी का Development of Hindu Iconography विशेष उल्लेख्य हैं………….. Description about eBook : It is the first attempt in Hindi to critique the statistical interpretation. 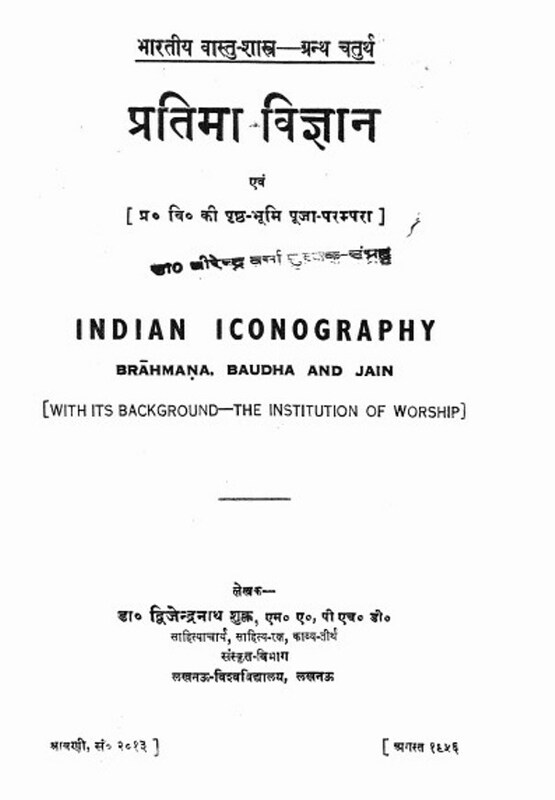 There are some famous and authentic texts in this subject in English, including Gopinath Rao’s Four Elements of Hindu Iconography, Indian Images of Mr Brndavan Bhattacharya, Dr. Jitendra Nath Vannarji’s Development of Hindu Iconography……………..